There were few music stories in 2017 more devastating than the passing of soul icon Charles Bradley. A juggernaut of a live performer, whose passion for entertaining and joyously living every moment of his life were clear to anyone who ever watched him set foot on stage, Bradley was an infectious presence. It was impossible to wear a frown while watching him pour out his heart and soul to anyone who would listen—there have been few artists in the history of soul music, or popular music in general, who were so uniquely earnest. That’s just the kind of guy Charles was, and it’s part of the reason why he was a Paste favorite for many years. Consider us pleasantly surprised, then, to learn that there’s more Charles Bradley tracks out there we haven’t yet heard. Today, Bradley’s former label Daptone Records, via its Dunham records imprint, announced the release of the singer’s final, posthumous album Black Velvet on Nov. 9. It will hit store shelves four days after Bradley would have turned 70 years old, containing 10 studio recordings that have never before been included on any album. Pre-orders are already available. 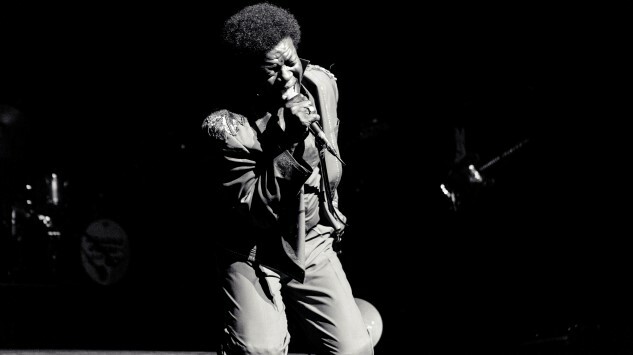 Black Velvet is a celebration of Charles Bradley, lovingly assembled by his friends and family at Dunham/Daptone Records. Though chronologically the material spans Charles’ entire career, this is no anthology, greatest hits or other shallow rehashing of the songs that already made him famous. Rather, this album is a profound exploration through the less-travelled corners of the soulful universe that Charles and his longtime producer, co-writer and friend Tommy “TNT” Brenneck created in the studio together over their decade-long partnership. It’s difficult to not feel both anticipation and a certain wistful sadness that Charles Bradley couldn’t be with us longer. Check out “I Feel a Change” above, and then enjoy one of our own favorite Bradley tracks in the form of Charles performing his classic “The World Is Going Up In Flames” at a 2015 Paste party in Brooklyn, NY.